Welcome to this special edition of the IIUG Alert. The IIUG Alert contains time-sensitive material for the IBM Informix community. Please provide feedback via e-mail to ug@iiug.org. Emergency IBM Assistance: New York City and Washington, D.C.
All of us have been deeply shaken by Tuesday's calamitous events. The magnitude of the human loss baffles and confuses us, while the surprise element of the attack and the unclear accountability leave us feeling stunned and powerless. This wasn't only an American tragedy. Hundreds if not thousands of foreign diplomats, international corporate executives and foreign tourists witnessed the airplane crashes and the resulting explosions, fire, and eventual collapse of buildings. In this increasingly diverse and cross-cultural world we are all part of deeply interwoven communities. Our own IIUG relationships span the globe, and our spirit of cooperation and selfless contribution is reflected in the open sharing of knowledge and mutual technical assistance. Therefore, on behalf of the International Informix Users Group and its Board of Directors, I would like to express our deepest sympathies to everyone who has been touched by the crisis. We especially extend our best wishes to our two local user groups in New York City and Washington D.C., to the 1,200 IBM customers within the World Trade Center complex and in its vicinity, and to the families and friends who endured endless hours of emotional despair. "The people of IBM extend our sympathies to all those affected by the tragic events of this week." "Emergency technical support, equipment and facilities have been mobilized to assist customers, as well as government and volunteer relief agencies. Customers who require information or assistance in this time of crisis can contact a special response team." Alternatively, for US customers requiring disaster-related assistance, please phone 1-800-IBM-CALL, or e-mail to IBMIFMX@us.IBM.com. The City of New York is accepting contributions to aid the families of Police, Fire, EMS and other City employees involved in rescue efforts. Please include your name and address with your tax-deductible contribution to NYCPPI (New York City Public/Private Initiatives, Inc.). NYCPPI is a nonprofit 501(c)(3) organization. "All proceeds from the NY Firefighter's Memorial Fund will go to the families of our fallen brothers and sisters." "All of us at Amazon.com are deeply saddened by the recent tragedies in New York City, Washington, D.C., and southwestern Pennsylvania, and we extend our sympathies and condolences to those affected. You can support relief efforts by making a donation to the American Red Cross Disaster Relief Fund. You can contribute from $1 to $100--any donation is greatly appreciated. ALL donated money will go to the Red Cross to help victims of this and other tragedies--Amazon.com is waiving its usual fees." While we are saddened beyond words by Tuesday's tragedy, we also resolve not to give in to our fears and to continue to support one another within the IIUG community. 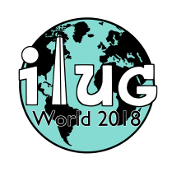 Our next regular edition of the IIUG Alert will broadcast as scheduled on Friday, September 21st, and we look forward to spending time with one another at the IBM Informix Conference in October.